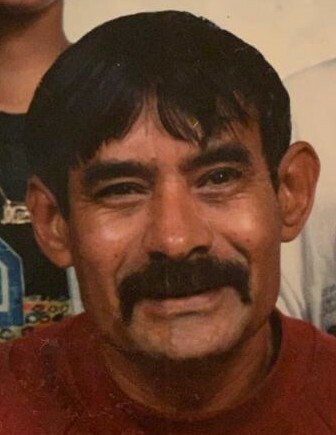 Israel Perez Vega, 73, of Lawrence, passed away suddenly on Saturday, March 16, 2019 at Lawrence General Hospital. Iro was born and educated Quebradillas, Puerto Rico, the son of the late Alberto Perez and Miguelina Vega. He moved with his parents to New York City in 1965 and worked in manufacturing. In 1971 he married Carmen Diaz with whom he shared 47 years of marriage. An accomplished guitarist, Iro hand built Spanish guitars called "Cuatros" for many years. He loved basketball and followed the NY Nicks. Iro enjoyed fishing and spent much time in the Atlantic. Most of all he loved his family. Iro was the 1st boy of 13 children and he survived by his wife, Carmen Diaz of Lawrence. 5 Children: Carmen Iraida Perez of Amesbury, MA; Israel Perez of Lawrence; Marilyn Perez of Hartford, CT; Teresa Perez of Lawrence and Michael Perez of Lawrence. In addition he is survived by 13 grandchildren and 9 great great grandchildren. Siblings: Felecia Perez of Brooklyn, NY; Miguelina Perez of Brooklyn, NY; Idea Perez of NYC; Churi Perez of Quebradillas, Iris Perez of New Britain, CT; Awilda Perez of MA; PR; Elliot Perez of NYC and Eddie Perez of Quebradillas, PR. He is survived by many nieces and nephews. A funeral Service will be held Thursday, March 21, 2019 at FARRAH FUNERAL HOME 133 Lawrence Street, Lawrence, MA 01841. Burial will be in St. Mary-Immaculate Conception Cemetery in Lawrence. Friends may call Wednesday, march 20, 2019 from 4:00 to 8:00 pm at FARRAH FUNERAL HOME.